A company based out of Honolulu, Hawaii, nearly 4,157 miles away from Mahaffey Fabric Structures headquarters in Memphis, Tennessee, contacted us in need of a top-quality structure to cover their outdoor luau show and event. This project, which was completed in Kauai, was all about innovation, as the customer wanted a chic, new structure to accommodate their guests, letting them enjoy the beauty and sound of the ocean, and protecting them from the often rainy Hawaiian nights. We met their needs by providing them with a large, clear span structure complete with partial hard sides, enhanced lighting options, vented open ceilings with skylights, and an overall aura of elegance. 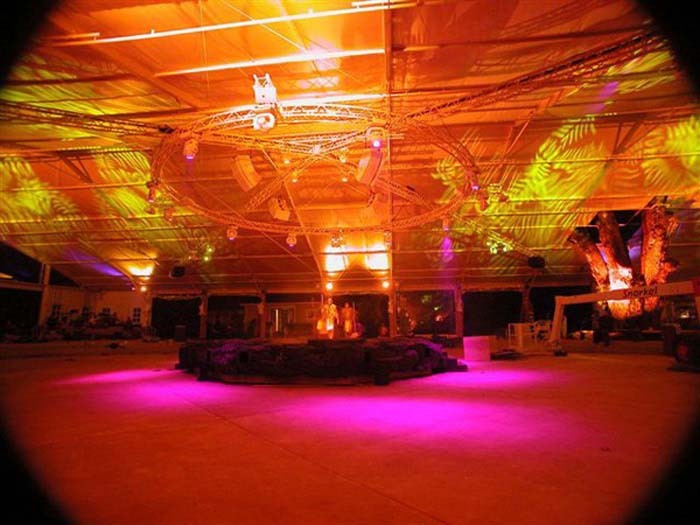 The customer was looking to provide a state-of-the-art event space to entertain guests while putting on a spectacular show. One of the customer's main requests was that the structure was to look nothing like a traditional tent. Mahaffey was happy to oblige and made sure that request was met. Several fans were added along the ceiling in order to keep a constant airflow. The client also requested that the guests' views were unobstructed, meaning the average pole tent was not an option. What was so unique about this project was that there was an old mango tree – the oldest tree on the island – in the center of the blueprints for the structure. The customer wanted to preserve the tree and have it as part of the actual show. Therefore, we created the custom structure around the tree by cutting out large sections of the ceiling fabric and a small portion of the ceiling frame. The customer was exceedingly pleased with the finished product – a 115' x 148' clear span structure. 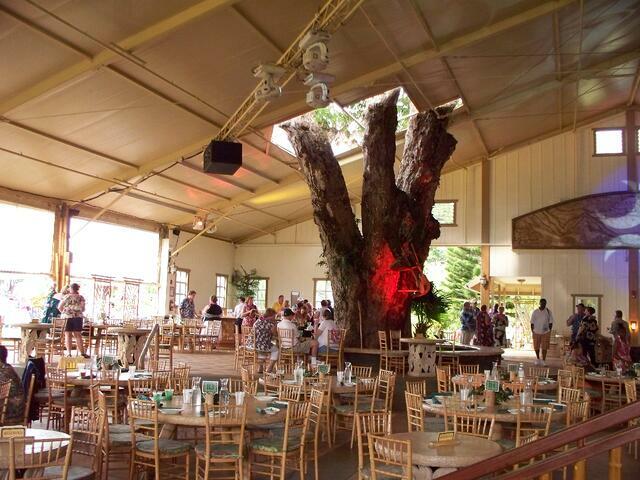 It was the perfect combination of an upscale setting with an "Aloha" vibe. A stunning entertainment and event space that amazed all those who experienced it. Want more entertainment and events? Speak to an experienced Events Specialist today to learn more about how Mahaffey's clear-top fabric structures can be designed to fit your event's needs.